I sold this boat in 2015. 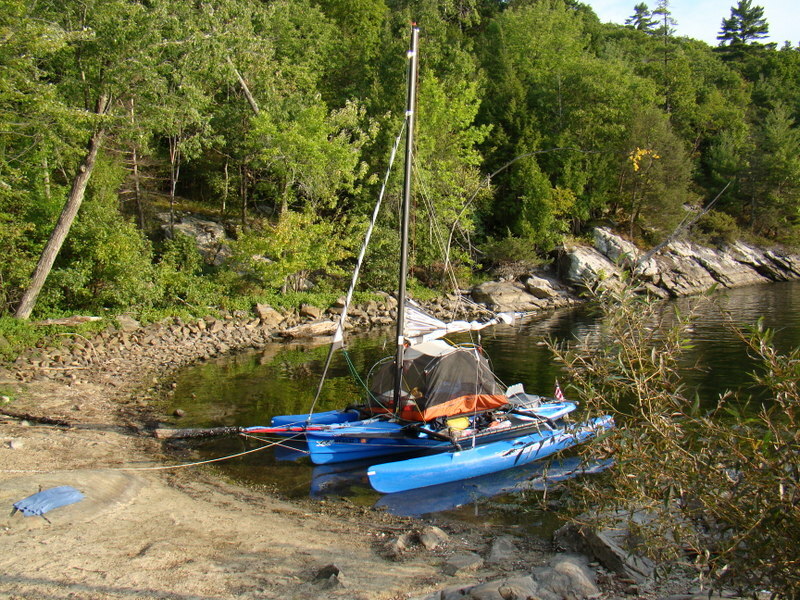 I adventure cruised this boat for 6 seasons – mostly on Lake Champlain. Almost all of my sailing has been is fresh water. I also sailed out of Key West to the Marquesas, spent a week in the OBX on Core Sound, and made three trips to the North Channel of Lake Huron. 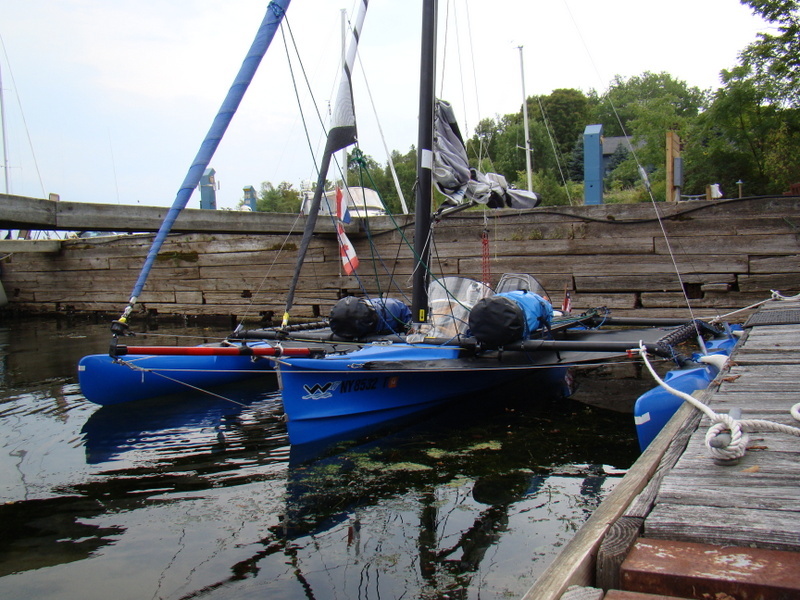 After almost every trip, I made modifications on the boat, until it became a perfect adventure cruising boat. See links to on-line articles and videos below. 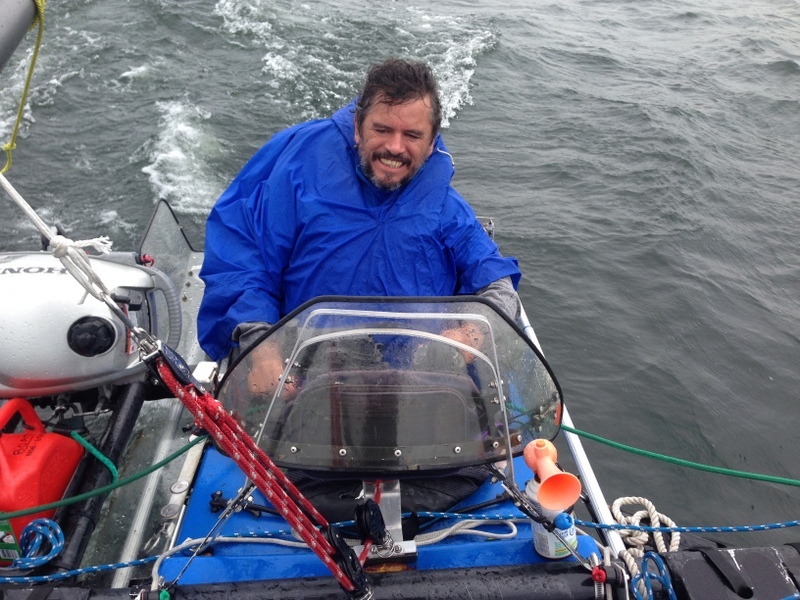 Ability to handle rough weather. 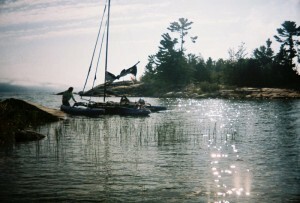 The main can be dropped, reefed or raised in high winds. The boat will lie close to the wind with the main out and the rudder to windward in any weather I have encountered. Skipper can have lunch, move about the boat, deal with tangled lines. 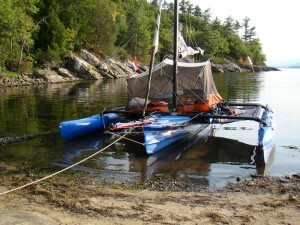 Ability to sail dry in almost all conditions. 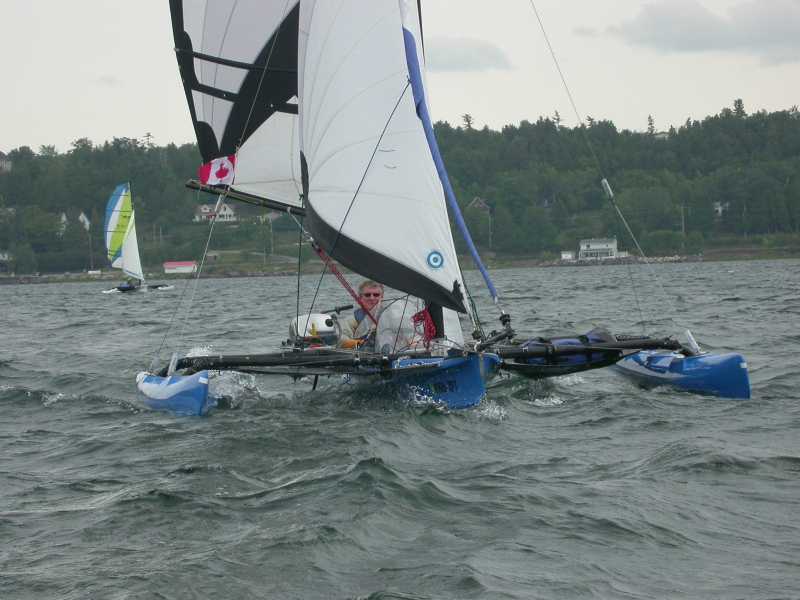 Full trampolines, double windshields, spray shields, an adjustable height motor mount, spray skirts keep the skipper dry and warm. Double benches on both sides of the main hull. Option to steer from front cockpit. Means that the skipper can move around while sailing. 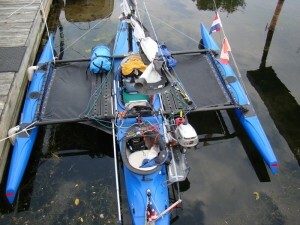 Mid boom main sheeting, keeps the main sheet from getting tangled and allows instant release of the sheet. Extra flotation in amas. Access port for spare bilge pump. Running lights. Double anchors with extra cleats. 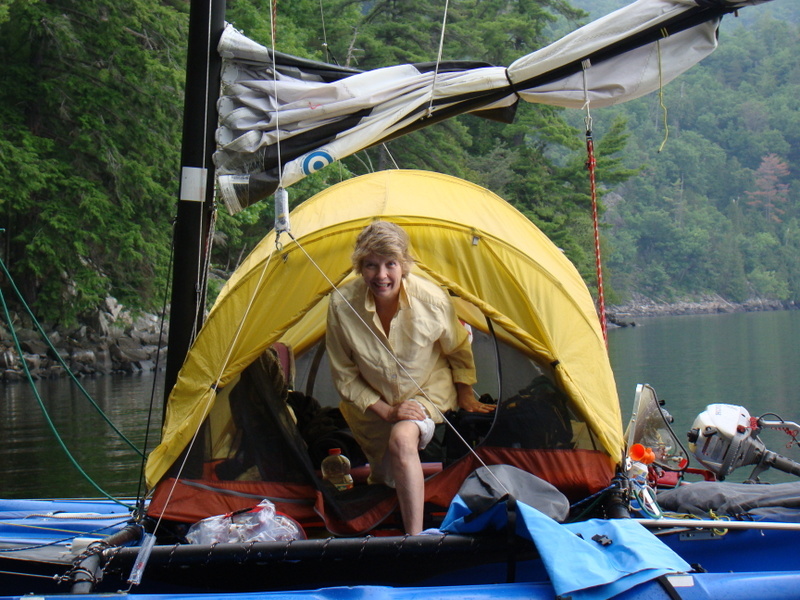 On board camping area under tent stays dry in any weather I have encountered, is well-ventilated, has separate bunk, comfortable seating, extra room for storage. 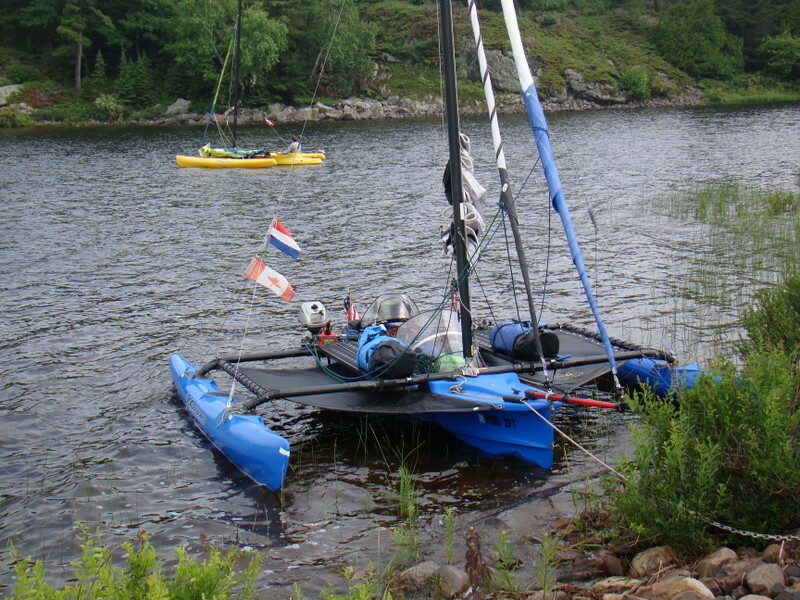 Custom full-width tramps with fore and aft aluminum struts for outboard support (also provide spray protection). 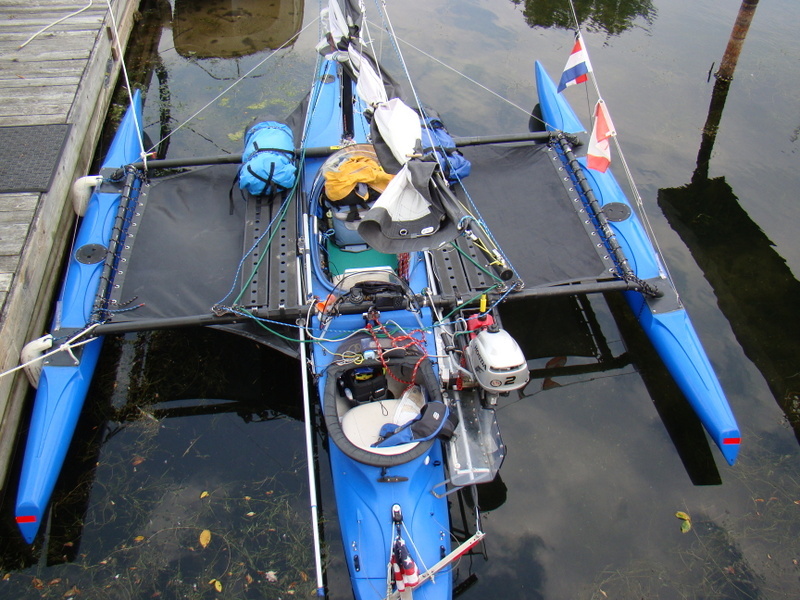 Four lightweight aluminum benches outboard of main hull with non-skid – can be configured for camping on-board. Factory trailer – Offset forward mast support to accommodate bowsprit. Composite support boards. Waterproof LED tail lights.New tires in 2014. Mainsail area 96 sq. ft.
Jib sail area 43 sq. ft.
Reacher sail area 86 sq. 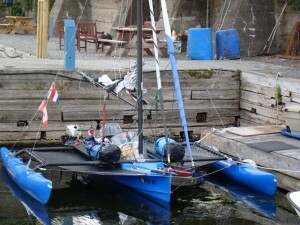 ft.
New mast in 2012 with heavy duty attachment for reacher stay. Pennant line for flying a flag. 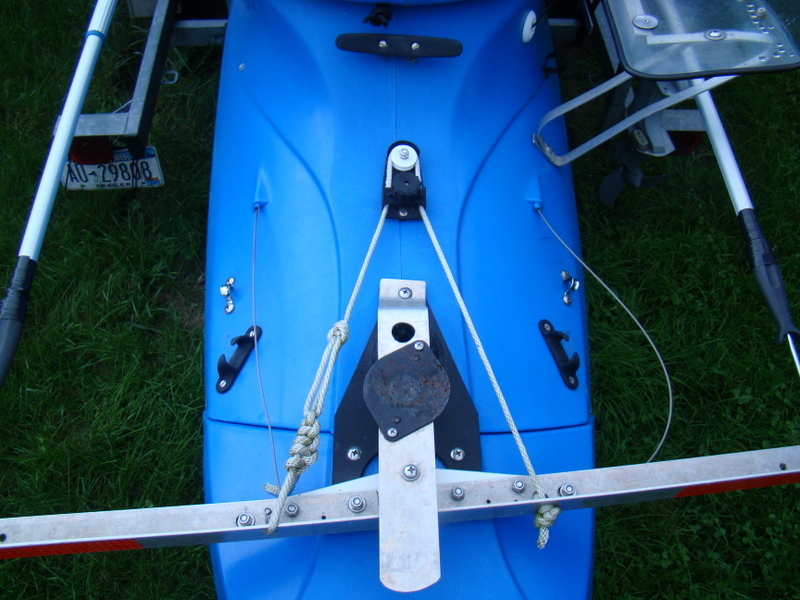 Bowsprit has whisker lines added with a Johnson tensioner. Two storage compartments with access hatches in the floor. 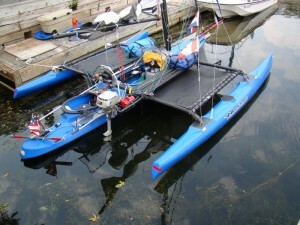 Flotation added to each ama – fore and aft. Internal bilge pump – operates from rear cockpit. Camping on-board – benches can be configured to create a bunk on starboard and seating on port inside tent. Full Hans-Murphy design windshield for front cockpit. Half spray skirt and full spray skirt for rear cockpit. Spray shields for rear cockpit. Danforth mounted forward for ease of access. Additional cleat on forward deck for anchor line. Stern cleat and guides for rear anchor rode.